PanicExitPro.com offers more expert access control assistance than anyone. We have carefully selected entry control devices for all scenarios so you can put together a kit that is not only cost effective but has the all the components, and only the components, that you actually need. Don't overspend buying a system with controls you won't use or compromise functionality forgoing components you need but are not part of other retailers' pre-designated kits. If you need help deciding if this access control device is part of right solution for your business we have live application specialists available 9am - 9 pm EST 7 days a week or send us an email 24/7 and we will gladly assist. This feature performs like its name suggests, delays the door's closing speed so pedestrians, especially elderly or disabled, can have enough time to fully exit. The reduced closing time kicks in at any point beyond the open 70 degree angle and is helpful in a variety of environments like hospitals, offices, restaurants and so on. Feature also benefits those who utilize/push catering trays, office technology/equipment, gurney transportation, as well as assist delivery personal, wheel chair bound and other persons with disabilities. PanicExitPro.com makes a pro of the small business owner. We specialize in DIY installation because we know that as a small business owner every penny saved helps. We have developed customized instructions, videos and offer a full spectrum of accessories to truly cover all aspects of the installation of your entry system. In addition we have the largest staff of factory trained technicians in the US. This feature can be used to sense and prevent the door closer from over extending and hitting an adjacent wall. It also reacts against wind, working to prevent the door from swinging out of control. Controls (often reduces) the closing speed of the final 10 to 15 degrees of the door. It should help the door close completely and effectively without slamming shut. A pair of gears contained inside the door closer which enables consistent and smooth control throughout the closing cycle. Unit comes with proper brackets and installation hardware to be used as "regular/standard", "top jamb" or "parallel arm" applications. Universal application. Certified by the Technical Research Institute of Sweden. This product certification confirms that a unit complies with specified requirements found in standards, authority regulations or voluntary specifications. Panicexitpro.com offers a comprehensive product range to control the movement of entry/exit point doors. It is essential for building owners to be able to strike a balance between opening security, safety and durability at a cost that meets business objectives. Panicexitpro.com products are designed to meet the most common installation and application requirements in the commercial marketplace so that these products exceed the needs of customers who value reliable door control products, excellent service, and prompt delivery. PanicExitPro.com has the resources you need. How do you use your entry system once you get it? PanicExitPro.com is the only retailer to give a real answer to this question. We have develop videos for understanding many of our door entry components and products and write DIY focused manuals for most entry system accessories. 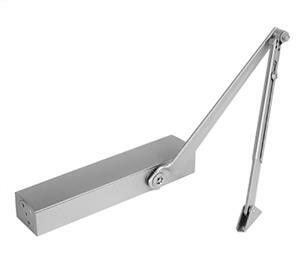 SentrySafetyHardware is the premiere brand for panic crash bars, door closers and electronic entrance accessories. Our wide selection of tested and certified panic crash bars have been installed in hundreds of businesses across the U.S. and world. Certification helps business owners obtain a positive fire inspection report but equally as important: these certificates also convey the vigorous testing each of our models have been put through. Additionally, Sentry E. Labs accessories: exit buttons, strike s and locks are fully compatible with Sentry panic crash bars and door closers. When installing an exit system using our product line, you can take comfort in knowing that SentrySafetyHardware and Sentry Electronics Labs products will uphold the quality safety standards set forth by our founders. PanicExitPro.com has actual experience. We have a testing area, we have factory and internal training courses, we have installed this equipment on our own properties, we attended industry trade shows in multiple countries, and we pay visits to our chosen manufacturers' factories. All these factors are what have lead to us having so many exclusive additions. When you see and actually use as many products as we have you tend to have many ideas for minor changes that have major impacts. We acted on these ideas and have utilized them to help thousands of customers create entry control solutions that work for their unique applications.